At MHS, you can often find staff members walking through the halls, monitoring what goes on, and checking in with students. These staff members are the MHS Campus or Student Support. The Campus Support Staff at Middleton is a department that changes and adapts to the needs of the students and the policies of the school. What occurs during an average school day can be hard to predict, so being able to work with a situation on the fly is a key aspect of the Campus Support job. It seems though that these changes are even bigger than day to day adaptations. After interviewing Weiler and Loether, it is still unclear how long these outdated handbooks have been used as a policy reference and for how long they’ve been integrating their new policy ideas into their practices. However, it seems that changes have been and will be taking place in the way that Campus Support functions. As Weiler expressed, the position is asking new things of the staff, and it would seem this logically results in the use of new strategies and a change to the way protocols are being followed. But what do students think about campus support? The students see Campus Support from a different perspective as the staff. There seems to be a shared understanding of the support staffs’ positivity and student-happiness-geared goal. Nathan Passno — a freshman who admits to skipping class frequently — seems to hold positive feelings towards the members of campus support. He says, “Most of them are nice and supportive people.” It would seem that even students who have gotten in trouble with Campus Support can see the staff’s good intentions — most likely because of the positive ways in which these situations are dealt with. In stark contrast, one senior at Middleton sees the support staff with an overall negative view. “I have mixed feelings about the Campus Support Staff. I think that their intentions are good, but. . .I think that there’s a lot of suspicions that Campus Support has about students. I’ve had Campus Support follow me to the bathroom…then when I get out they’re still there.” This student also thinks that some of the money designated for the Campus Support “could be allocated to more useful initiatives that would actually help kids stay in class.” While the support staff themselves think that their main role is about protecting students, through this student’s eyes, the biggest role of support staff is to “make sure the kids are in class,” and thinks that their success in this is lacking. It is possible the contrasting views of Campus Support may be rooted in age. 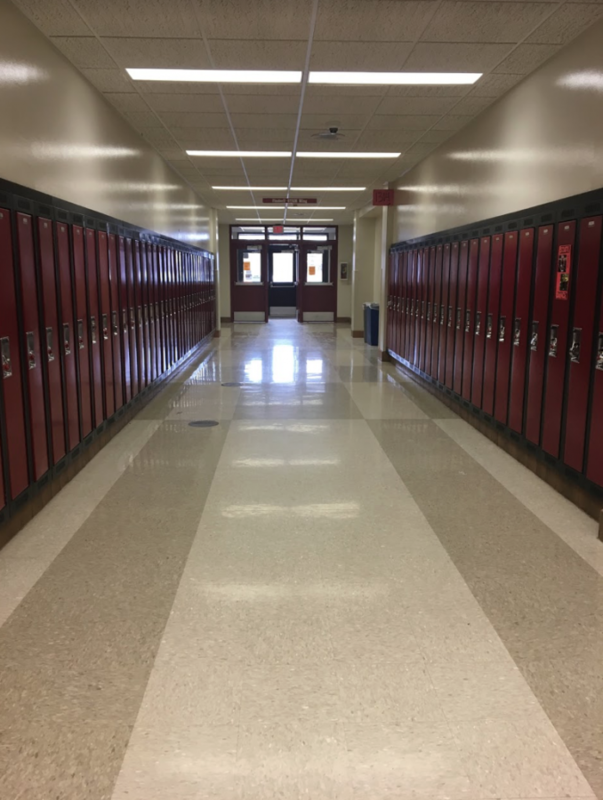 A senior, who has been at Middleton High School for four years may have seen a different version of Campus Support in their time at Middleton than a freshman sees now. Campus Support has been evolving and will continue to change as students, staff, and the overall school climate does as well. Weiler thinks that the support staff has seen lots of change since he got here. Perhaps this means seniors have experienced the “outdated” version of campus support that was supported by the old handbook the staff was instructed to follow, but it seems like freshmen see something entirely new. It could be then, that a new, more student-interaction-based handbook is resulting in deeper connections and more positive feelings towards our support staff. More one-on-one encounters could potentially result in better relationships with all students. We can look at this new handbook as a symbol for the change that is yet to come. Finding a modern take on helping and supporting students is a challenge. Loether says that it’s important to “assess the incident appropriately,” but at the same time, there’s as of yet no step-by-step protocol to instruct people how to handle other people. Loether likes to work on “relationship building and presence” on a daily basis to establish an approachable and welcoming reputation for staff. The support staff and the work they do is an ongoing experiment. The way the Support Staff addresses conflict is going to change because they are dealing with many different people — resulting in a group that is inherently complex and inconsistent. We can expect even more of this adaptation of staff support handbook policies as time goes by, and from the reaction of the staff and students, it seems like it’s going to be a change for the better. The consensus — an idea expressed by both the support staff themselves and some students — is that Campus Support is based on positive intentions and a hope to help the students of MHS in any way they can to support our school environment. It seems that a considerable part of this is changing with the times.